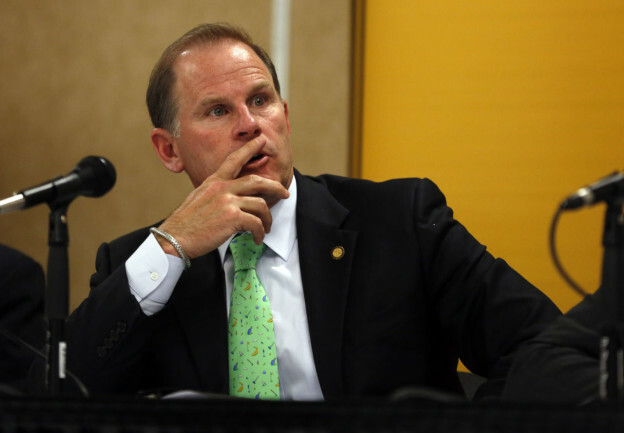 University of Missouri President Tim Wolfe. Tim Wolfe says his resignation is effective immediately. The announcement came at a special meeting of the university system’s governing body. Black student groups have been complaining for months about racial slurs and other offensive incidents on the system’s overwhelmingly white flagship campus in Columbia. Their efforts got a boost over the weekend when 30 black football players announced they wouldn’t participate in team activities until Wolfe was removed. Stephanie Shonekan, chair of the Department of Black Studies at the University of Missouri, and an associate professor of ethnomusicology joins our discussion.